Since the age of 15, bass has always been Lawrence Leylekian’s instrument of choice. His bass followed him throughout high school, with different bands involving different friends. After disconnecting with previous bands, the next step was starting his own project. As the album finished, they started looking for members to complete their act. 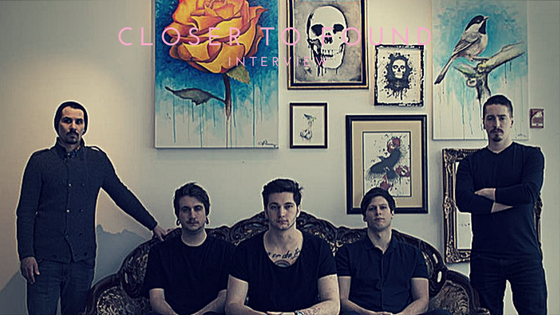 Little by little, former bandmates and dedicated artists from the Montreal/Toronto area filled out the rest of Closer to Found. The record, Always Just As Lost, comes as a play on the band name. The album has moments of being lost and found and generates a specific emotion. “For the title, it definitely ties into how there can be a feeling of desperation or feeling lost in general and the songs in them of themselves are catalogs in that journey,” Leylekian said. Always Just As Lost is meant to be a message of hope. Each song tells a story of things not going the way that they should be but figuring out a way to turn it in your favor. An important aspect that they wanted to portray in the lyrics is that destiny is meant be a concept that you control. As the music of their influences helped them get through tough times, Closer to Found hopes their listeners do the same with their music.